French manufacturer Citroen has developed quite the reputation in recent years. Part of the PSA Peugeot Citroen Group, the brand is known for developing stylish, economical, comfortable and affordable automobiles with a type to suit every motorist. Although they are inexpensive to buy new, they are also excellent used cars and you can find them for very low prices from reputable dealerships. 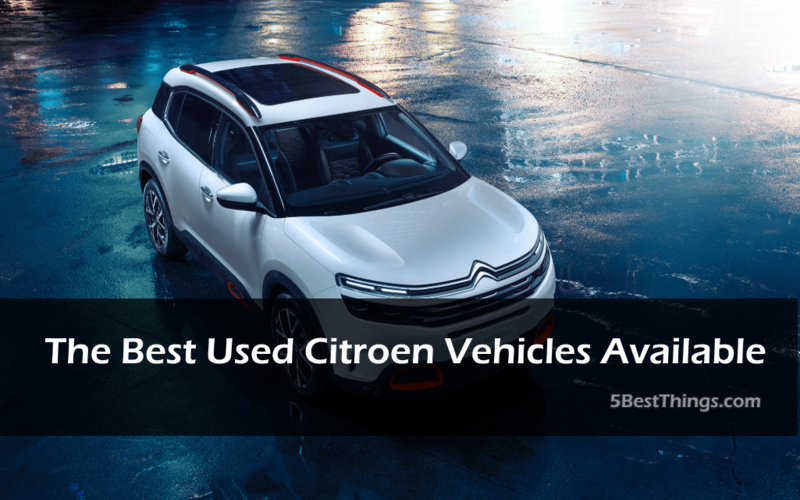 Here are a few of the best used Citroen cars to look out for. The C3 is one of their most popular automobiles and it is easy to see why. The sub-compact class is fiercely competitive with vehicles like the Ford Fiesta and VW Polo leading the pack, but the C3 is the most comfortable car in its class and excellent value for money. In addition to this, it features a high-quality interior, a panoramic windscreen for great visibility and a range of efficient engines. The C4 Picasso is ideal if you have a family or regularly carry a few passengers. The regular MPV comfortably fits five, whilst the impressive Grand Picasso can comfort-ably fit seven thanks to two extra fold out chairs. In addition to ample interior space, it also features lots of standard equipment, a practical design and good engines (choose diesel if you travel long distances). The CitroenC4 Cactus has taken the auto industry by storm largely thanks to its funky design complete with bold plastic panels down the side (these also protect the vehicle). It features an SUV style design, so it has plenty of space inside, but the fuel efficiency and low running costs are the vehicle’s main selling point – all of the engines are capable of over 60mpg. Those that live and/or work in the city will want to take a look at the stylish C1, which features a very compact design that makes it easy to navigate and park around the city. It has a somewhat basic interior, but it is surprisingly spacious inside for a car with these dimensions and is available in both 3 and 5 door. It is also efficient and capable of 69mpg combined. Citroen has emerged as a favourite with many motorists in the UK thanks to their comfortable, stylish and affordable vehicles. Due to their reliability, they make excel-lent used vehicles where you can find them for even more affordable prices. If in the used car market, be sure to look out for any of the above for a smart investment.